It’s all about Kiwi on today’s canvas, as I bring to you forex trade opportunities on GBP/NZD and AUD/NZD. Check it out! Last week we identified a nice triangle setup on GBP/NZD’s 1-hour time frame. Well, it looks like it’s the bulls’ chance to step up unless they want to see a breakout! The pair is currently trading around 1.8450, which is right smack at a trend line AND 100 SMA support on the 4-hour time frame. Not only that, but stochastic is also chillin’ like a villain on oversold territory! Buying at current levels could get you a sweet reward-to-risk ratio especially if you aim for the triangle resistance near 1.8700. 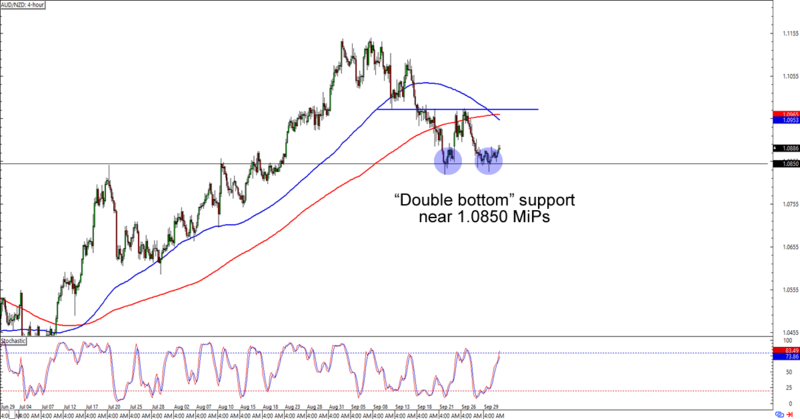 If you’re not a fan of the pound, though, then you could also wait for GBP/NZD to break below said support levels before unleashing your breakout strategies. Just make sure you make tight risk management decisions, aight? AUD/NZD is lollygagging around the 1.0850 minor psychological handle, which isn’t surprising since the level has been an area of interest from as early as mid-July. 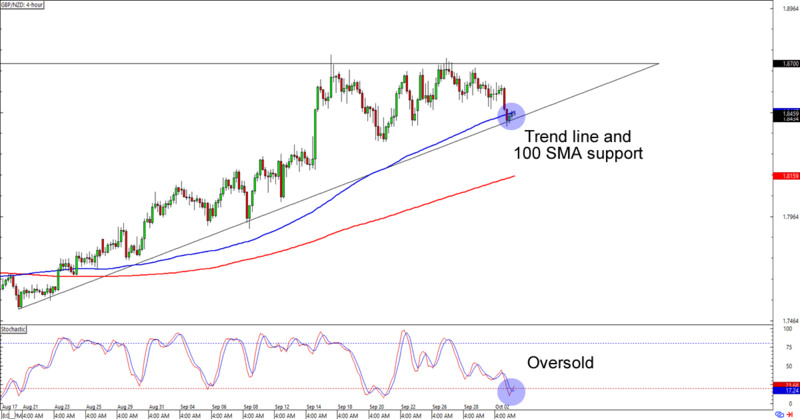 Before you buy the Aussie like there’s no tomorrow, though, take note that stochastic is already near the overbought zone and that the 100 SMA has also just crossed below the 200 SMA. That means you gotta wait for bullish momentum or a downside breakout before you confirm the pair’s next direction, yo!